LAFAYETTE and CRAWFORDSVILLE, Ind. — Medicines left unattended or disposed of carelessly are a danger, whether through accidental ingestion, illegal use, identity theft, or contaminated water supplies. Because of high demand and response from the community, the public can now safely dispose of expired or unwanted prescription and over-the-counter medications during “Operation: Medicine Cabinet” at two locations, one in Lafayette and a new location in Crawfordsville. “Because of the overwhelming response from the public last year, Operation: Medicine Cabinet will be held in two communities this year,” said Chris Irons, event sponsor and owner of Home Instead Senior Care in Lafayette, which provides non-medical, in-home care and companionship for seniors. 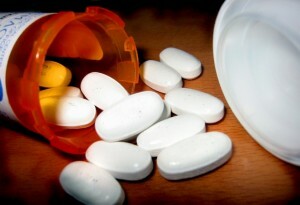 Medicines, both prescription and over-the-counter, left unattended or disposed of carelessly are a danger, whether it’s through accidental ingestion, illegal use, identity theft, or contaminated water supplies. Home Instead Senior Care is joining with St. Clare Medical Center, Crawfordsville Police Department, Indiana State Police and Montgomery County Sheriff’s Department for this one-day public awareness event scheduled for Saturday, May 2, in the parking lot of St. Clare Medical Center, 1710 Lafayette Rd., from 10 a.m. to 2 p.m.
Also on Saturday, May 2, from 10 a.m. to 2 p.m., there will be a collection site in Lafayette in the parking lot of Home Instead Senior Care, 325 S. Earl Ave., Suite 3. Collection will be supervised by the Tippecanoe County Sheriff’s Department and properly incinerated at Pets Remembered Cremation Services, a division of the Hippensteel Family of Services. The program not only helps educate the public on how proper disposal protects people and pets from accidental ingestion but also prevents illegal use of the drugs or theft of identity from prescription labels said Irons. For more information, contact Irons at (765) 447-8800 or visit www.homeinstead.com/660.